Today’s Flash Back Friday comes from Episode 86, originally published in April 2012. We all remember the famous McDonald’s hot coffee case where Stella Liebeck sued McDonald’s after her scalding coffee spilled and burned her. But do we know the actual facts? 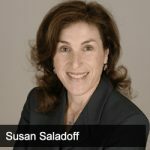 Jason Hartman interviews Susan Saladoff, former attorney and producer of the documentary “Hot Coffee,” regarding the distorted facts surrounding the case and what is wrong with our court system today. Susan purports that our justice system has become partial to big business through public relations campaigns, and people believe that we have an out-of-control court system where anyone can sue for any frivolous reason, which has resulted in tort reforms – or tort “deforms” as Susan describes it. Susan says it is actually very difficult for a person with a non-meritorious case to win any money or even find a lawyer to defend them. She also says that people tend to think that many civil suits are ridiculous and are brought about by greedy people and businesses until it happens to them. Large corporate interests have this belief that if they can convince the public that the system is broken, that there are too many frivolous lawsuits, people will vote against their own best interests for tort reform. In doing so, we forfeit our Seventh Amendment right to access the court system. Jason and Susan discuss arbitration consequences, the corruption of the legal system, and what people can do to protect their rights.